For people to be considered SEC Qualified Investors, they need to meet certain criteria with the SEC. There are two ways to qualify including being an Accredited Investor or a Sophisticated Investor, which is also based on SEC standards. If you are raising money for your private placement, it is important to know the difference in order to stay within compliance. The type of Reg D offering you select should in part be based on the type of investors you are going to work with, and their accreditation status plays a role in that. Sophisticated Investors are people that have knowledge and experience that pertains to financial or business transactions. Some examples of a sophisticated investor are a banker, CPA, lawyer, business owner, broker, investment advisor, etc. Basically, if they are successful in their current role and seen as a respected advisor of others, they may be considered sophisticated. The goal of this qualification is to identify those that would be able to fully analyze a deal and make an educated decision about whether or not it is a good investment opportunity. They are allowed to invest in Reg D 506b offerings but not allowed to invest in Reg D 506c opportunities. Sophisticated investors typically make a good income, but not enough to be considered accredited. They do not have to meet a set income or net worth standard so this qualification is strictly based on knowledge and experience. Many people within the investment community and especially the crowdfunding community would like this to be more of the standard criteria than being an accredited investor because in their opinion knowledge is more important than money. Accredited Investors, on the other hand, have the ability to invest in all types of private offerings, without restriction. They are the highest level of SEC Qualified Investor and have all of the privileges of such. As a business or broker looking to raise capital, working with Accredited Investors is an ideal way to raise money because you don’t have as many compliance issues to worry about. If someone is accredited, they are allowed to invest, so your job is to document why they are accredited. In order to meet the standards of becoming SEC Qualified Investors, people primarily need to achieve it through financial criteria. In order to be accredited, this means that they need to make $200,000 a year as an individual for two years or $300,000 combined with a spouse. They can also qualify by having a net worth of $1 million or more, excluding their primary residence. These financial standards have become the rule of thumb when determining if someone is qualified to invest in private offerings and now that Reg D Rule 506c has been created, this standard is a necessity. Businesses with that type of offering are only allowed to work with Accredited Investors. The SEC has been discussing several changes to their standards. 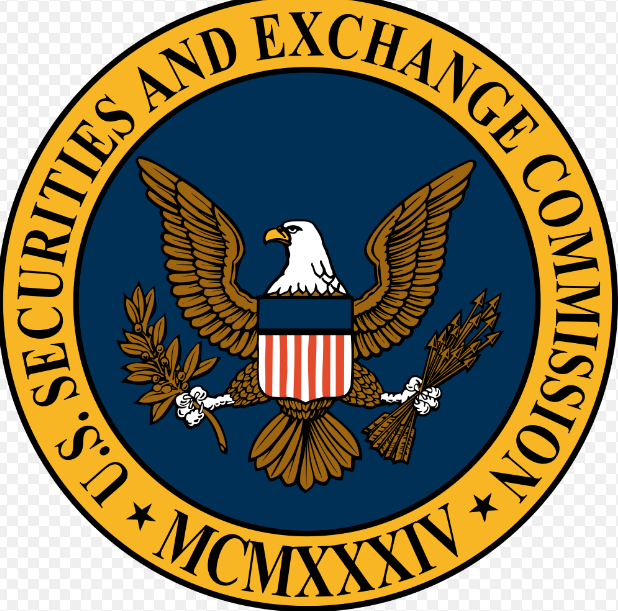 SEC Qualified Investors today, may not be qualified if the changes go through. If you are considering launching a private offering, do so now before the rules change. You can also expedite the process by purchasing an accredited investor list from AccreditedInvestorLeads.com. Those looking to expand their portfolio should obtain leads for investment brokers in order to expedite the process. The challenge many brokers have is that they are not in content with the right people, who are ready to invest, and have the capital to do so. This is especially true for those just starting out. Most people start their career by establishing a referral network with other young professionals. While an excellent long term strategy, it takes time to build a portfolio this way. At accreditedinvestorleads.com, we provide leads for investment brokers of individuals that are accredited investors and have the capital necessary to make them a solid prospect. Accredited investors are an excellent place to start because they have to make either $200,000 a year as an individual or $300,000 jointly with a spouse. In order to qualify without earning this much money, they need to have a net worth that is $1 million or more. As a broker, this gives you the opportunity to work with people that are financially secure and want their money to start working for them. When buying leads for investment brokers, you can set geographic parameters so that you are only calling on people within your local geographic area. If, however, you are licensed in multiple states you can use that to your advantage to purchase a larger list. Leads for investment brokers can also be sorted by demographics. For example, if you want to work with women, men, those in a particular age group, income bracket, etc. This allows you to target your prospects more specifically and hone your sales pitch based on your audience. This is especially important if you feel that your services would appeal more to a particular group, or you are pitching a specific investment opportunity. Create an elevator pitch. When calling someone on the phone, you have a short window in which to make a good impression. Hone your message and explain why you are calling and what you can do for them quickly. Use something to capture their attention. Be specific. If you have a certain investment opportunity you are pitching, obtain a list of investors that may be interested in that industry niche. For example, buy a list of leads for investment brokers with oil and gas investors so that you can tailor your pitch to them and that market. Know your facts. When calling accredited investors, you are reaching out to people that are already financially savvy. Be prepared to discuss the market and back up your data with facts. Why are you better? People need to know why you are better than the competition. Instead of simply focusing on education and certifications, focus on what you can do for them that others won’t. How are your services more convenient? What do you do to put in the extra effort? Obtain your leads for investment brokers today and start making calls tomorrow. By regularly scheduling call time, you can grow your client portfolio faster than ever. Raising money through a private placement is an excellent source for obtaining capital. In order to get started, most companies need help finding accredited investors. This is different from going public, where companies can market their offerings and anyone with a savings account can buy shares. Private offerings through Reg D are generally only available to accredited investors, which are a select group of high income earners or high net worth individuals. The SEC defines accredited investors as someone that has made $200,000 a year for the past two years and is likely to continue, or makes $300,000 combined with their spouse. Investors can also qualify by using the net worth standard. They must have a net worth of $1 million or more excluding their personal residence. This is an elite group of income earners and investors, making it difficult to target them unless you know how. Buy an accredited investors lead list. You can purchase a list of investors that meet the income or asset qualifications and sort it geographically or using other filters you wish to have applied. Purchase a list from www.accreditedinvestorleads.com for an accurate, up to date lead list that you can start calling from. Attend angel investment group meetings. Most areas have angel investment groups. These are groups of accredited investors that come together to listen to presentations from businesses and entrepreneurs, evaluate deals, and discuss investing. Many of them are niche based and prefer to invest in a specific industry while others like Keiretsu Forum hear from a broad range of businesses. Before presenting, it is wise to visit as a guest so that you can get a feel for the set up and type of investors that are in the room. Once ready to present, these forums typically charge a presentation fee and require you to make a presentation and pitch in front of the group at a regularly scheduled meeting. This can be effective, depending on who is in the room and whether they are interested in your deal type. As a general rule of thumb, angel investors prefer to invest in local companies. Network. Reach into your professional network of lawyers, CPA’s, and bankers to see if they know investors that are actively looking for deals. Since they are intimately involved in their clients transactions and finances, they will often know how people are allocating their funds and may be willing to set up a meeting for you. This is a very personal so it may take time to establish the relationships with both your referral network and their clients. Marketing. If you use Regulation D Rule 506c, you can advertise your offering. The general solicitation rule has been lifted for this offering type which enables you to use your website, social media, local newspapers, etc. The key is that you must disclose that only accredited investors are allowed to participate. The fastest and easiest way for finding accredited investors leads is to purchase a lead list. It reduces the amount of time you have to spend networking and shaking hands to get you right to the decision makers. All you need to do is create an amazing sales pitch and pick up the phone. You can use real estate investor leads to raise more money for your private placement. Real estate professionals and developers have experienced great success using Reg D private offerings to pool investment capital to purchase or build properties. Raising money from local investors is an excellent option for both the real estate professional and the investors themselves. Private offerings give the investor more control over the deal and the ability to vet each and every property before deciding to invest, an improvement from investing in REITs where properties are lumped together, and there is no ability to analyze each one. Investors in real estate private placements, also have the opportunity to get to know the other owners and property manager. The additional communication ensures that investors are able to express their opinions and concerns to someone that is directly involved in the property, rather than simply managing the investor relationships. As a real estate professional, it is your job to communicate these benefits so that investors understand the value of participating in your opportunity. In order to reach real estate investors, you need to have a way of obtaining real estate investor leads. You can purchase a current lead list from www.AccreditedInvestorLeads.com that can be narrowed down to your specific geographic area. This is ideal for professionals that want to work with local investors. If requested, the list can be national as well. By purchasing an up-to-date, qualified investor lead list, you will spend less time searching for leads and more time closing them. Type of real estate deal. Are you raising capital to acquire a property that has already been renovated and leased up? Are you planning to renovate the property and raise rents? Is this a brand new build? Tell the investor what type of real estate deal this is so they can understand what the process will look like. Property type. 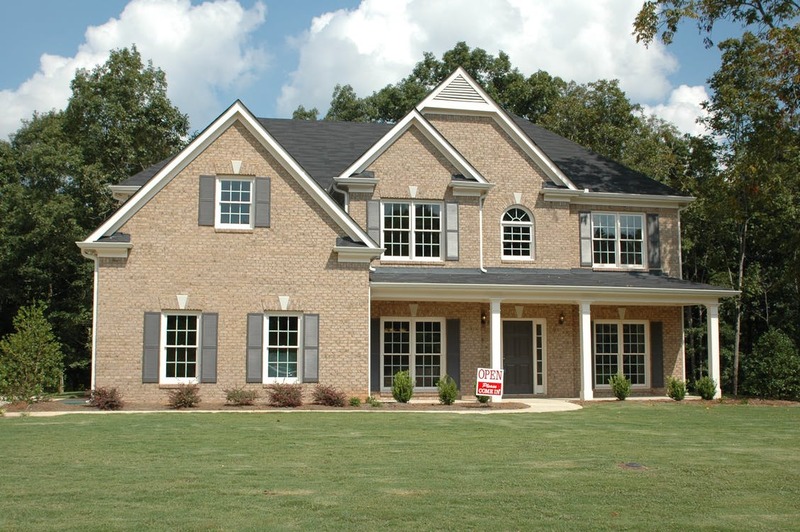 Many real estate investors only invest in a particular property type or asset class. They stick with what they know because it is something they understand. If, for example, you are promoting a new industrial park you should know everything about that property type so that you can intelligently engage in conversation. Know the market. You should study the market and understand current vacancy rates, price per square footage, maintenance cost, how long it takes to lease up a property, etc. The more you understand about the local market, the better. Remember, most states do not have one single market. For example, the vacancy rates in Miami will be extremely different from those in Sarasota. Once you have studied the industry and the particular property you are promoting, it is time to pick up the phone. Call real estate investor leads and make your pitch. Answer questions with as much detail as possible and remember always to follow up in a timely fashion. AccreditedInvestorLeads.com also provides quality leads for investment brokers. As a broker, it is important to continually fill your pipeline with new investors. One of the challenges brokers typically face is identifying leads to call on or prospects with asset sizes that fit their parameters. The challenge is that without these activities, many brokers are unable to reach the level of success they desire. Networking. Building a solid referral network takes time but is worth it in the long run. A referral network expands your reach to where people are talking about you, even when you are not around. This will naturally generate leads. Try to partner with key industries that could have crossover. For example, insurance agents, bankers, and attorneys. Typically, the best way to start a referral relationship is to give a referral. Community involvement. Many people think of business events as strictly through the chamber of commerce or local business groups. These can be effective but very often, everyone in attendance is simply looking for business. Instead, participate in community events that may appeal to your target demographic. For example, volunteering with the American Heart Association where doctors (potential investors) are also active participants. You will be able to do something good for the community while meeting prospects. Accredited Investor Leads. You can purchase leads for investment brokers from AccreditedInvestorLeads.com. Accredited investors made a minimum of $200,000 per year as an individual or $300,000 with their spouse. Those that don’t make that annually have a minimum net worth of $1 million. These are fantastic prospects for a broker and are very often, actively investing. Online marketing. Use the internet and social media to expand your reach and attract new investors. You must be careful with what you say to ensure that it is in compliance. Focus on providing basic tips or information that can be applicable to a large group of people. For example, discussing how to roll over an IRA. Create a Google+, LinkedIn, and Facebook page where you can interact with prospects and provide a level of information that encourages them to call you for more details. Current clients. Your existing clients are typically with you because they like the services you are providing to them. Too often, brokers and sales professionals forget to ask their existing clients for referrals. This is a mistake. They can be a fantastic source of leads and a referral from an existing client typically holds weight with the friends and family they are speaking with. Events. Consider holding educational seminars or events. This will appeal to people that are interested in learning more about making money and investment strategies. Evens can be an excellent source of leads for investment brokers because you obtain everyone’s information when they register and have the opportunity to answer questions after the fact. If you are looking to expand your portfolio, the fastest way to do so is purchasing leads for investment brokers from AccreditedInvestorLeads.com and start making dials. These are quality leads and by working them regularly, you can schedule more appointments and meet more people.